After more than a decade and a half in business, the team at Vines Gardening plans to promote bigger and better things for 2016. Outdoor landscaping is the careful combination of art, utility and science to meet a to an aesthetic goal. From residential homes to commercial storefronts, everyone wants to boost the curb appeal of their property, but doing so requires a careful eye for detail and strong background in horticulture. Now celebrating 15 years in business, Vines Gardening has done just that, reshaping the way that Georgians think about their outdoor spaces. Since 2001, the locally owned and operated landscaping team has served hundreds of satisfied customers – a trend that it hopes to continue well into 2016. When redesigning an outdoor space, a variety of factors need to be taken into consideration. For instance, drainage issues, plant growth and sunlight exposure can all affect the final result of a landscaping project. That’s why Vines Gardening takes a multi-faceted approach with every project, assessing the property from multiple angles before breaking ground. Landscapers also understand that their projects entail much more than just planting flowers. Usually landscaping involves a great deal of “hardscaping,” which refers to the construction of pathways, retaining walls, patios and other structures to enhance the space. With the company centrally located in Dawsonville, the team serves homes and businesses throughout North Georgia all the way down to Atlanta. Since opening their doors, they have not only expanded their coverage area, but increased the number of services they offer, as well. The company has added outdoor kitchen and fireplace installation to its portfolio, while also keeping up with their classic services like landscape maintenance and design consultation. “Expanding the number of services we offer is just part of our growth. We hope we can continue to offer residents an even greater number of options when it comes time to redesign,” said Todd. As their team of certified landscapers continues to grow, it hopes to give back to the North Georgia community, making it an even more beautiful place to live and giving neighbors something to talk about. 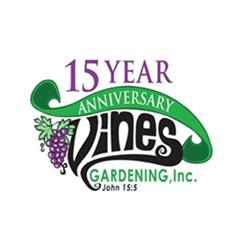 In celebration of their landscaping success, Vines Gardening has also redesigned their logo to feature their 15-year anniversary. 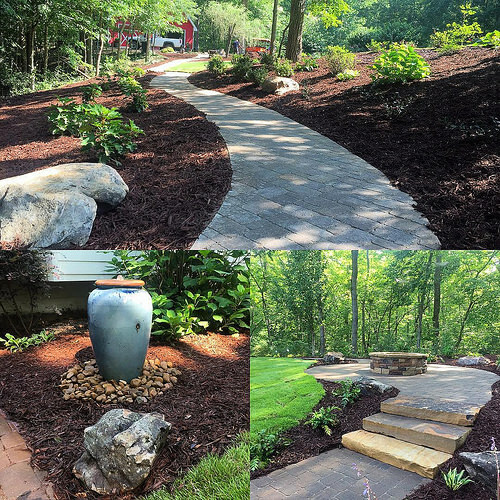 The team is proud to announce another year in business and strives to continue offering outstanding landscaping experiences to its customers. 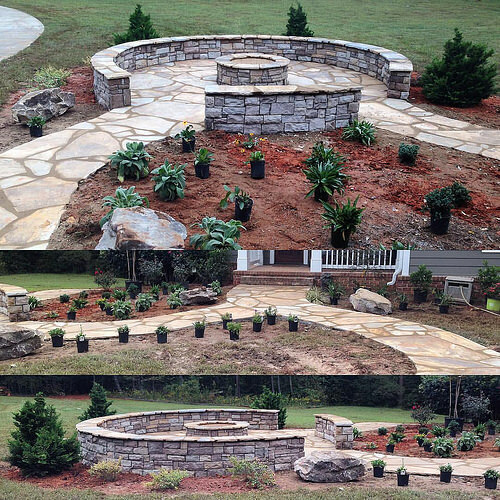 For more information about outdoor design services, visit their website or give them a call at (678) 725-4452.